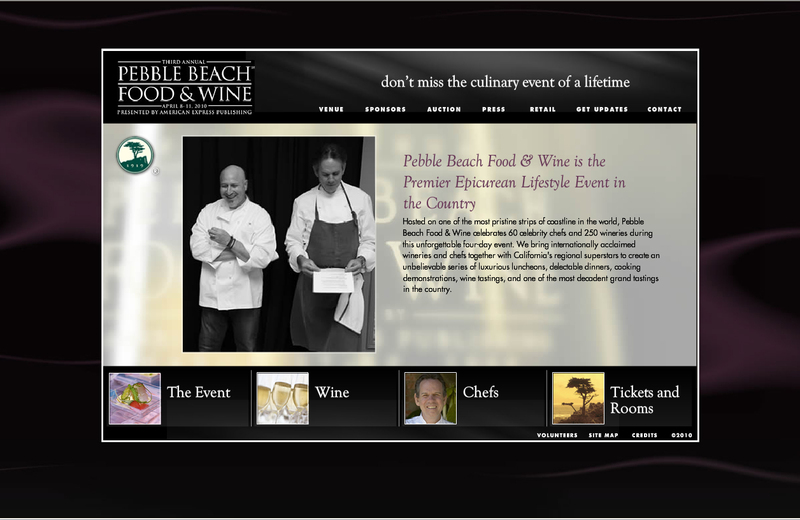 The Culinary Chronicles (and her better half) is headed down to the 3rd Annual Pebble Beach Food & Wine festival! Thanks to FoodBuzz, we’ll be attending Sunday’s Lexus Grand Tasting which is the final event of the weekend. What’s in store for us at Pebble Beach? and without a doubt, Endless moments of being babbling starstruck from being in the mere presence of all these fabulous chefs and food demi-gods. AND THIS JUST IN! They’ve released a sneak peak of the tasting menu! Check it out! Camera with extra lenses and battery? Check. Pens, small notebooks, etc.? Check. With that my Friends—stay tuned as I will DEFINITELY be posting a recount of what is sure to be a “culinary event of a lifetime”. WOW! Sounds like a foodie-in-training’s dream! I can’t wait to see pictures of the event! It’s going to be a beautiful weekend, too. Amazing day you guys have lined up. Can’t lie…I’M JEALOUS.